The wireless-speaker maker plans to go public and may target a $3 bln valuation. That’s pitched high for a firm facing stiff competition and losing money on barely double-digit sales growth. But it’s a trifle for Amazon CEO Jeff Bezos, who can mimic Apple’s success with Beats. 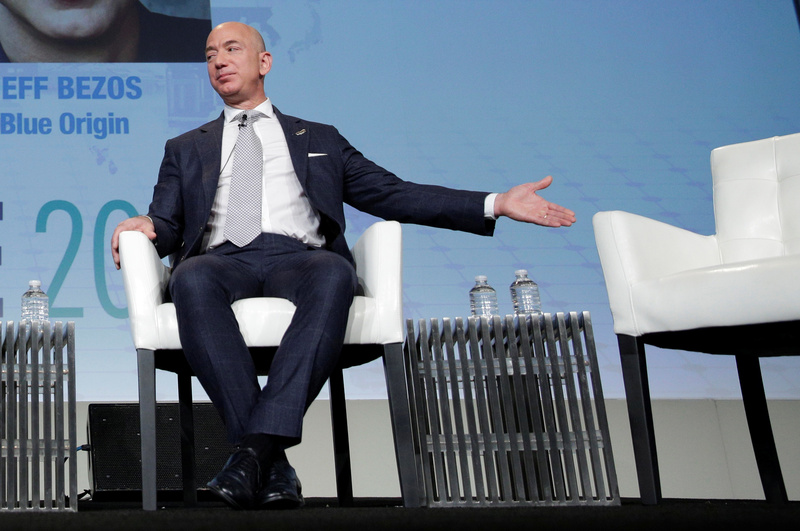 Jeff Bezos, founder of Blue Origin and CEO of Amazon, speaks about the future plans of Blue Origin during an address to attendees at Access Intelligence's SATELLITE 2017 conference in Washington, U.S., March 7, 2017. Sonos, a maker of wireless speaker systems, filed with the U.S. Securities and Exchange Commission on July 6 for an initial public offering of stock. The company, in which private-equity firm KKR owns 25.7 percent and venture-capital outfit Index Ventures 13 percent, had net income of $13 million on revenue of $656 million in the six months ended March 31, compared with $15 million and $555 million, respectively, in the same period a year earlier. Morgan Stanley, Goldman Sachs and Allen & Co are the lead underwriters on the deal.